Definition Dental (Beaverton) - Book Appointment Online! 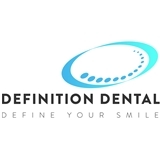 EXPECT AN ELEVATED LEVEL OF CARE: At Definition Dental, we believe that dentistry is more than just a set of procedures -- it’s a form of art. Dr. Agarwal’s combination of extensive education and her keen eye for aesthetics offers her patients the ultimate dental experience: complete health care with attention to detail, comfort, and appearance. We take a conservative approach in our practice -- you’ll never be pushed into an unnecessary procedure. Instead, our team focuses on educating and empowering our patients for proactive care and optimal maintenance of oral health. We love to provide an outstanding experience whether you are seeking General family dentistry or an experienced cosmetic dentist for extensive dental services, our priority is keeping your smile beautiful and healthy. You’ll leave our office with your brightest and healthiest smile yet -- and some new friends, too! I was a good and informative appointment. Everyone was friendly and helpful.